Through a re-imagined textbook and engaging digital content, the Bill of Rights Institute aims to change the way U.S. high school students learn about the history of government and policy. Their diagnosis of the problem: students knew about influential historical figures but were not acquainted with their writings firsthand. John Locke was a name in their textbook, but not the author of any of the reading material. For them, Locke was lost in the narrative. To address these challenges, St. Pius X turned to The Bill of Rights Institute. 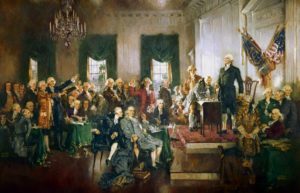 The organization’s curriculum, developed as part of a project entitled “A Nationwide, Principles-Based High School Civics Textbook,” brings the Founding Fathers’ philosophy and ideas alive for educators and students alike. The aim of the Bill of Rights Institute is to renew interest in these fundamental ideas among American high school students through compelling materials and lesson plans. As part of the project, which was supported by an $800,000 grant from the John Templeton Foundation, the Institute produced a 400-page textbook, Documents of Freedom, along with supporting digital content that puts the philosophical principles behind key historical texts and events back at the center of student attention. Research by the Institute indicated that teaching the founding documents is often intimidating for high school instructors. What’s more, “Bad textbooks abound in American high schools,” says Harvard government professor William Kenan. The Institute’s textbooks fill these gaps by providing a high-quality and accessible resource for students and educators alike. The goal is for teachers to use the Institute’s textbook to supplement, or replace, their standard lessons. 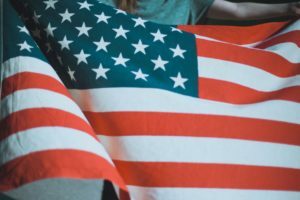 Students using the Bill of Rights Institute’s materials have already shown an 18 percent increase in scores on exams that test understanding of American government. The materials were developed with the support of key scholars from leading universities including Tufts, Clemson, George Mason, Notre Dame, and UCLA. They collaborated with the Bill of Rights Institute to create short digital videos, covering concepts such as consent of the governed and the separation of powers. The long-term aim of the project, launched in 2013, was “to cure civic and economic illiteracy,” says David Bobb, president of the Institute. Understanding the reasoning behind key founding principles is essential for these future voters. The Founders had, for example, particular conceptions of human nature that grounded their thinking about the benefits and risks of power. Knowing that the Founders considered human nature deeply fallible is critical for grasping their advocacy of limited and separated powers. But students also need to understand that the Founders weren’t cynical. Rather, they believed that we are both flawed and capable of achieving great virtue. The balance between these two convictions about human nature led to the Constitution’s distinctively balanced approach to government.